Discover the eclectic music of BKLYN VIBE! A new sound, a new vibe, rooted in international tones, anchored in classics, and very much Brooklyn. An exciting musical experience that will take you on a journey throughout the globe, reflecting the melting pot city that gave it birth. Cordeone @cordeone, on vocals and the accordion, presents original music and compositions in 3 languages, while surprising you with his renditions of works you grew up listening to. Roberto Robinson @bertobeatz, a monster drummer, gets you dancing along. Shelley Shellz @shellzonbass on the bass, brings the groove to the whole mix. Bklyn Vibe was created by Cordeone and is comprised of the artist, along with Roberto Robinson and Shelley Shellz. The group brings together a wealth of experience and musical ingenuity, creating an universal sound that is both new and familiar. Drawing inspiration from Jazz, Soul, Hip Hop, Fado, Brazilian and French music, the group introduces its main instrument, the accordion, as one of the most versatile and adaptable musical tools on the market. Traditionally used in folk and gypsy music, Cordeone aims to surprise audiences with the rich melodies it produces, inviting the public to get lost in the the vibe the group creates. Blyn Vibe has had the pleasure of performing at Rockwood Music Hall, The Groove, Nublu, and much more. began his musical career at the age of 9, first mastering the accordion. He is a self-taught multi-instrumentalist, who’s learned to adapt his instruments to various musical styles. Cordeone has had the pleasure of collaborating with Jah Mason, Turbulence, Norrisman, Big Joe Turner and his Memphis Blues Caravan, Ben l'oncle Soul, and many others. His first album, Vida, was auto-produced, as was his second, Miss Erzulie, in which he played all instruments. The artist is also a polyglot, speaking French, English, Portuguese, Spanish, Italian, Creole, and more. Cordeone has performed internationally and locally at festivals and venues such as Festival Terre du Son (France), The Pan-African Space Station Festival (South Africa), Lincoln Center (NY-USA), and more. He will be performing next at the International Portuguese Music Awards (IPMAs), in New Bedford Massachusetts. 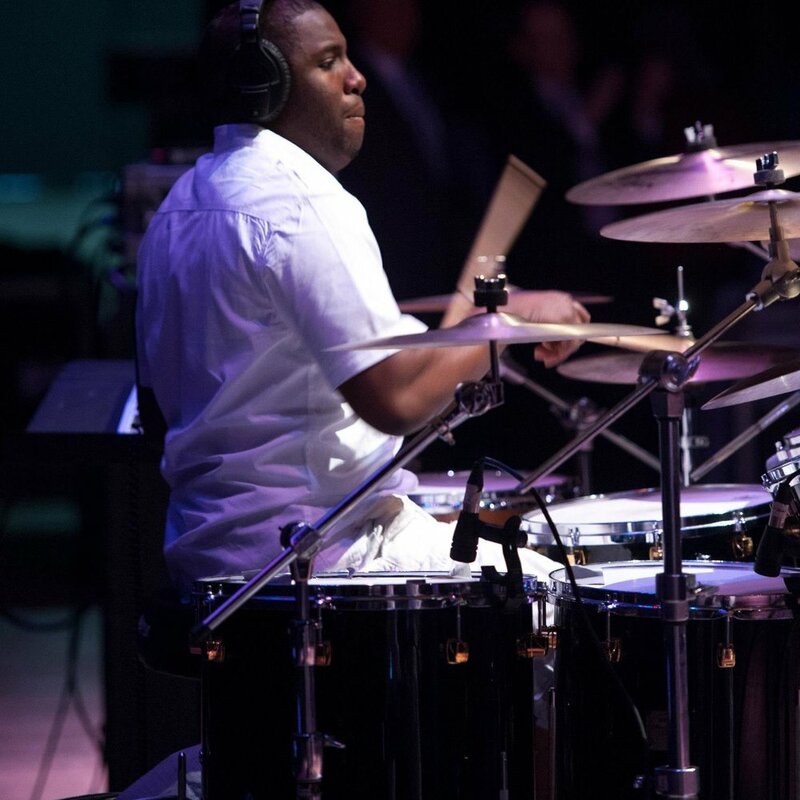 Roberto Robinson Jr. is a gifted drummer who travels the world performing with JT Taylor ( kool and the gand lead singer) since 2012. Roberto was born in Brooklyn NY on August 4th 1987. Roberto’s main dream from a child was to play the drum, He started out playing in the church and gradually expanded to playing in local clubs and casinos. To date Roberto has played with many groups such as. James Hall and the Voices of Citadel, James Hall and worship Praise New Era, Christopher Williams from New Jack City, Che’Nelle Universal Music Japan he also plays in local clubs such as The Groove, The Village Underground and Resorts World Casino …etc. a midst his busy schedule he finds time to giveback to the community by participating in a summer camp for young people as a drum instructor.